Could this be the death of paper at last? It certainly could mean the end for Post-It notes as this E-Ink display can always be updated while never requiring recharging. 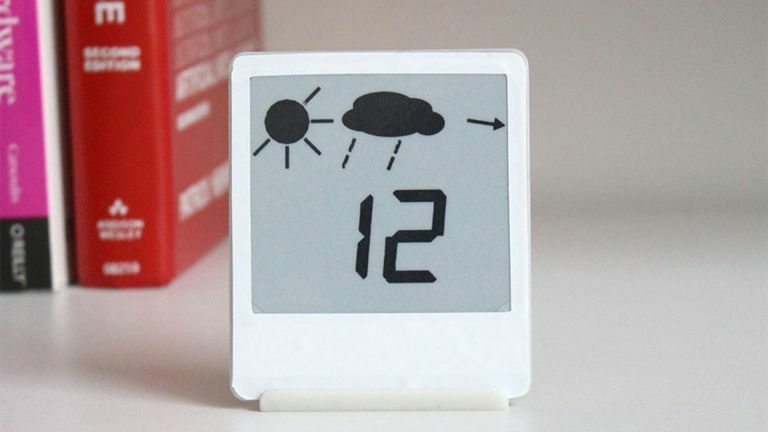 The small E-Ink display was developed by scientists at Microsoft Research as a way of offering a screen that doesn't require charging but can be updated via Bluetooth. The screen uses ambient light to power its E-Ink display and low power Bluetooth chip. That doesn't just mean solar power from the sun since any light will charge this device, even indoor lighting. Since an E-Ink display only uses power when changing image, powering the device does not require a lot of energy. Low power Bluetooth also helps this. The result is a small solar panel on the rear of the display that can collect all the energy it needs from any ambient light. While this Post-It note is a cool idea this will likely appear in smarthome devices as a means of adding a display without needing to charge or wire in the device. It should hopefully also feature as a second screen device for on the desk at work. Or it could be used as a useful display in the kitchen while cooking at home, for example. How much any of this will cost or when we'll see it remain a mystery.